There are many passages where “the buddha” encourages the contemplation of the inexorable reality of change: impermanence. One such practice is the contemplation on the decomposition of a corpse while reflecting on the fact that this too will be the fate of your body. Another is called “the five remembrances.” The first three, briefly, are that you, I, and all beings are of the nature to age, experience illness, and die and that there is no way to avoid these realities. The fourth reminds us that everything we treasure and all whom we love are of the nature to change and there is no way to avoid being separated from them. And the fifth states that we are the heirs of our actions and there is no way to avoid the consequences of our actions. Among other things, this notion that awareness might “prefer itself rather than outwardly appearing objects” posits awareness as yet another subtle atman despite the rejection of atman by “the buddha.” Awareness arises in relation to some phenomena; positing an awareness independent of all causes and conditions is no different than positing a soul/self/atman! I find it striking that so many contemporary buddhists have such a difficult time seeing this! Also, common to some forms of Tibetan Buddhism is an idealism that can become a form of solipsism that seems to be rearing it’s ugly face here in the disparagement of “outwardly appearing objects.” Research on happiness seems to suggest that happiness comes from both within and without and that learning the proper balanced ratio is what is necessary; not to discount one or the other. That this life only has value in terms of the “afterlife” is made overtly clear when he adds: “Don’t worry so much about social security. Finance your karmic security instead. Invest in your future lives now. Investing so much in this life is like checking into a hotel for a few days and redecorating the room; what’s the point?” This emphasis on “reincarnation” which is only seen in Tibetan Buddhism (yes other forms of buddhism teach rebirth, not the same thing and equally wrong when taken as the rebirth of some atomistic entity, one even as nebulous as a specific ‘stream of consciousness’) is another aspect of this life-denying tendency and is very selfish. Taken literally, this statement equating life to time spent in a hotel, and thus there being no point in redecorating it, could lead one to wonder why we should bother to confront structural forms of oppression, catastrophic climate change, or systemic economic inequities; if this life is no more than a hotel, what’s the point? Now, I practice the five remembrances regularly, and emphasize to my students that we should never forget impermanence. The “gatha of encouragement,” which begins our daily practice, reminds us: “Great is the matter of birth and death. Impermanence permeates us. Be awake each moment. Do not squander your life.” But as a naturalist, this isn’t a practice designed to create revulsion for this life, it isn’t a mere “investment in future lives” (other than the metaphorical “lives” we live throughout this one life that we know exists and the equally important lives of those who will come after, as our actions now will definitely impact them) but it’s a practice to awaken us from our complacency; indeed it can be seen as a fierce compassionate shattering of the placid denial we too easily fall prey to, taking this life for granted. And no mistake, that can be a brutal awakening! To me, though I agree desire for “wealth, luxury and praise” hold little value and may derail our attention from what is of real value, it’s sad that Wallace feels affection and the human need for relationship is “ultimately worthless,” literally “worth nothing” just because we all die! It is the fact that we will die, that we will be separated from all we love that makes my time with my loved ones so very precious; so precious that I don’t want to take one moment with them for granted. Ideally. And through this contemplation, who “loved ones” are becomes vast and ever more inclusive. And that’s why constant contemplation and remembrance of impermanence is important and can be so thoroughly a “turning of the mind,” because the default seems to lull me – us – into a kind of somnolent, zombie-like walking through life. Beyond this, I think it’s intellectually and morally dishonest because I somewhat doubt Wallace, and those who teach this life-denying perspective actually live with the full implications of what they are saying. So yes, contemplate the fact of impermanence in order to live life fully, intimately, to come to see its absolute value in its ephemeral nature. 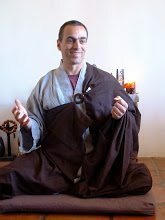 Practice in order to avoid living this precious human life grasping at impermanent objects or experiences, and not ignoring them either, but savoring the good, and working to change what you can that is harmful to yourself and other real living beings who are also precious because also mortal. Don’t waste this life as if it were some dress rehearsal for future lives or some transcendent state of being. Immerse yourself in the world because you really are of it! Ignorance, or avidya, is a root cause of suffering, according to Patanjali’s Yoga-Sutra (II.5). But the ignorance Patanjali refers to is less a lack of knowledge than an almost willful ignoring of reality. Today we call it denial. For instance, we may intellectually know that all things change, yet we desperately deny this truth; a denial that leads to anxiety, fear, and confusion. At a past lecture, I led a group of interfaith seminarians in the contemplation of the five remembrances, “the buddha’s” teaching on impermanence, aging, health, change, and death. Afterward, one of the students asked, “Isn’t this just negative thinking?” On the contrary, I would argue that the five remembrances is what “the buddha” offers to awaken you from denial, to cultivate an appreciation for living, and to teach you about nonattachment and equanimity. If you think of it this way, the meditation is not a bleak, depressing list of things you’ll lose, but a reminder of the existential situation of the human. When you accept impermanence as more than merely a philosophical concept, you can see the truth of it as it manifests itself in your mind, your body, your environment, and your relationships, and you no longer take anything for granted. Once you accept the reality of impermanence, you begin to realize that grasping and clinging are suffering, as well as the causes of suffering, and with that realization you can relax and celebrate life. The problem is not that things change, but that you try to live as if they don’t. To work with the five remembrances below, it helps to memorize and repeat them daily. Say them slowly and let the words seep in, without immediately analyzing or interpreting them or your experience; that can and should come later. Just notice your reactions. Let them rest until they shift and pass away—as all things do, being impermanent. Stay with your breath and observe the sensations under all your thinking. You may experience dread at the thought of any or all of these realities. You may experience huge relief as the energy you’ve spent denying and hiding from the truth is liberated to move freely through your body. Who knows what you’ll experience until you try it? Some remembrances are easier to accept than others. For me, it was easier to consider that I’m aging and will die, than it was that I have the potential for ill health. I have a strong constitution and am rarely ill; I had believed that if my practice were “good” enough, I wouldn’t get sick. So, on those rare days when I was ill, I often reproached myself for being sick and was a pretty cranky person to be around. But with the help of the second remembrance, I’ve grown more accepting of illness and can now feel a profound sense of ease even while ill so that I don’t needlessly suffer my illness. What this has shown me is that there is indeed a difference between disease and dis-ease. Another way of practicing the five remembrances in relationship is through hugging meditation. When your partner or children leave for work or school, hug each other for three full breaths, and remind yourself of the fourth remembrance: “All that is dear to me and everyone I love are of the nature to change. There is no way to escape being separated from them.” If you’re having a disagreement with someone, remind yourself, before getting swept away by heated emotions, of the fifth remembrance: “I am the heir of my actions. I cannot escape the consequences of my actions.” None of this means you should be passive or reluctant to advocate your views. Instead the meditation helps you respond more skillfully with awareness rather than simply from conditioned reactivity. You can also get used to the concept of impermanence by listing things that have changed in your life over the past month or two. Perhaps a difficult posture has become easier, or an easy posture has become challenging. Perhaps a problem with a family member has resolved or grown more complicated. You’ll be hard-pressed to find something that hasn’t changed! As I post this today, I look back over the month and review my mom’s illness and death; a teaching engagement that took me to Los Angeles; and a political fight to influence Arizona’s governor to veto an immoral, discriminatory bill that the state legislature had passed! Again, facing the truth of impermanence shouldn’t depress you; it should free you to be fully present. It should help you realize that the peace and ease you seek are available in the midst of changing circumstances. When you really see that all things change, your grasping and clinging fade under the bright light of awareness, like the stains in a white cloth bleached by the sun. If nonattachment sounds cold and unappealing, you may be mistaking it for indifference. It’s the experience of attachment, based on the denial of ceaseless change, that is lifeless. Life without change is a contradiction in terms. When you’re attached to something, you want it to stay the same forever. This attempt to “freeze-dry” elements of your life squeezes the vitality out of life. The practice of nonattachment allows you to enjoy life wholeheartedly in its very passing. Through your attachments you create mental manacles that bind you to the limited view that life is your life, your body, your lover,your family, your possessions. As your insight into impermanence deepens you start to see the truth of “not-self.” When you can extend beyond the limits you’ve created you see that your life is not really “yours” but ultimately simply one manifestation of life. I am of the nature to age. There is no way to escape aging. I am of the nature to experience illness. There is no way to escape illness. I am the heir of my actions. I cannot escape the consequences of my actions. My actions are the ground upon which I stand. This article originally appeared at Zen Naturalism. I appreciated and enjoyed this discussion very much. Your descriptions of how the concept of impermanence can be followed down some very dubious paths (since everything always changes, relationships are worthless) is fascinating. I was struck by this line and by the last four words. I too feel that humans and all living things–not just animals–are on a par of sorts in that we are all living. But I don’t quite see that all these beings are precious because they are mortal and ephemeral. The inanimate world is ephemeral as well–stars die, rocks erode, particles recombine. I suggest that living things are precious because we are both ephemeral and continuous in a unique way–we struggle and we reproduce–and because, most simply, we are one of them.